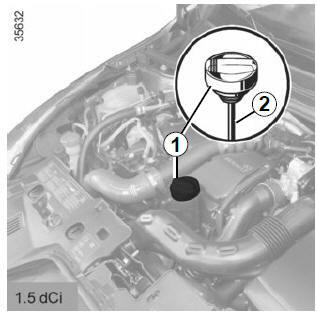 The vehicle must be parked on level ground and the engine should be cold (for instance, before the engine is started up for the first time in the day). 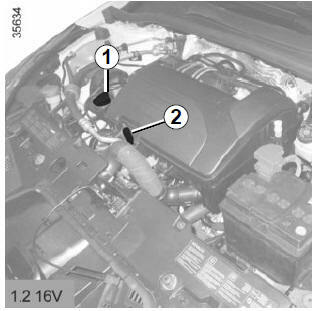 Before performing any action in the engine compartment, the ignition must be switched off by pressing the engine stop button (please see the information on “Starting, stopping the engine” in Section 2). 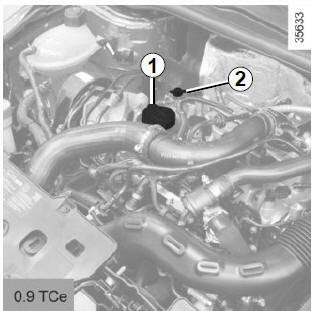 check the level using the dipstick 2 (as described above). 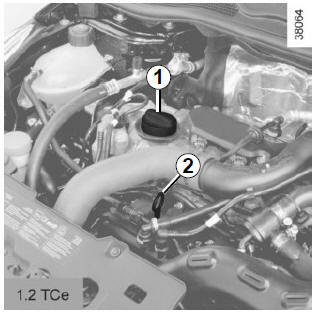 Once the operation has been completed, ensure that the dipstick is pushed in as far as it will go and that the cap is completely screwed in. In order to prevent splashback, it is recommended that a funnel be used when topping up/filling with oil. Do not exceed the max level and do not forget to refit cap 1 and dipstick 2.